Figured I might as well do this again. Maybe I’m taking a page from Scott Delahunt at The Chaos Beast, who reports on each of his serial entries. I’m impressed he manages the time. 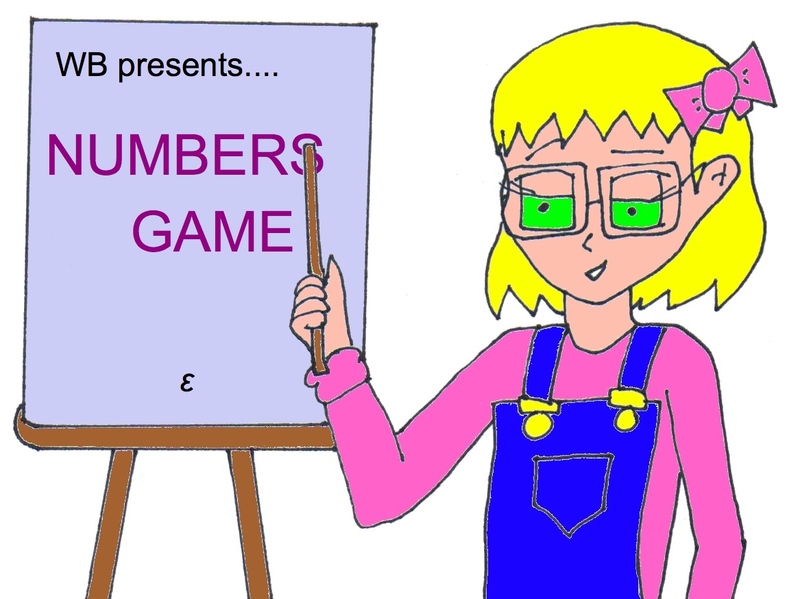 Plot spoilers ahead for “Numbers Game“. Where were we in the last “Behind the Scenes”? Ah yes, Part 6, Alison had just hacked Mason’s TARDIS and proclaimed herself the leader of the group. Also, this wasn’t her Earth. The nature of the world they were on was something I first hinted at back in Episode 3, with the rough trip. Naturally (and perhaps rightly) that voting decision returned to the Roman Numeral plot, rather than pursuing this. But I hadn’t forgotten my big picture, and to end Week 6, wondered if explanations might be in order yet. Nope! All about the villain, and “The Hub” was completely rejected. Onwards then. The week that followed (Canadian) Thanksgiving Monday was pretty busy, but as usual I had to think before starting to write anyway. It had occurred to me that the villains were getting short-changed, but I felt like a cut scene was too much of a departure from the norm, hence Alison’s undercover mission. Originally she was going to pose as a Time Lord, but posing as Lissa somehow made more sense when I reached the end. (Ergo my tweet, “You can’t have seen this twist coming because I didn’t see it coming.”) This necessitated figuring out what Lissa Jous would look like, something I’d only been toying with. I actually wanted to draw Lissa that week… but I was entering a period of serious depression and futility. Yeah, these two weeks here? It eventually got so bad I would take a day off work for a medical appointment. And before you jump to the conclusion of “THAT’S why Alison was suicidal!”, no. I wrote about Para cutting herself in Series 5 of “Taylor’s Polynomials” while relatively upbeat. (I even put up a Blog Post at the time, because some people were concerned. I guess I should be happy, it means they read something.) While I grant that depression may be why the characters received those traits in the first place, my mood is (as far as I can tell) not directly linked to that of my fiction. Real life is the problem. Anyway. There was a 3 way tie on week 7 in terms of Phillip’s decision. (What is it about character votes and ties?) I sent out a generic Twitter plea Monday night, and a fourth vote came to my rescue. Part 8 was rather more scrambled, as the romance subplot appeared. I ended up writing the ending, not liking it, rewriting, then preferring my earlier version, and not being able to recover it. Seriously, who’s bright idea was it to make “autosave” now literally OVERWRITE your txt file, rather than keeping a ~backup somewhere else?? I tried to recover from my last save point and COULD NOT. Damn you, autosave. Also featured in real life this week? A major shooting downtown, and parent-teacher interviews. I was still having mental issues. Ultimately I finished part 8 right before I went to bed Saturday night (Sunday morning). The poll at the end of Week 8 wasn’t going to immediately influence the start of Week 9; that was on purpose. I knew I was going to have an Alison-Para talk before plot intervened, and thought it would help me to finish the part by Friday, because I was going to my sister’s wedding the next weekend. Now, did this mean I actually started the writing earlier? No, but it was a nice thought. And at least I was starting to come out of my lowest levels of depression. The voting itself was a 2-2 tie, I shouted on Facebook/Twitter AGAIN, and it was broken. Meaning five votes, itself a tie for my all time high, not seen since my personal pleas to people back in Episode 3. So wow. Come Saturday, I had to figure out what The Denominator’s backup plan was. Yeah – I’d had a better sense of how Alison’s blackmail would go, and Mason’s plan, but aside from “villains usually have a backup plan”, I didn’t have a set idea for the actual thing that got voted in. I started by scanning over EVERY part I’d written so far, and put in some extra discussion to start the story, Mason throwing in the idea of a “pocket universe”, to harken back to that big picture again. (Incidentally, the reason Mason’s device was called a ‘Transformer’ is because Phil’s device was an ‘Alternator’. Think electronics.) Ultimately, my thought became: If Phil didn’t have a backup plan per se, maybe Lissa did? Lissa Jous was always intended to be an actual character (hence why seeing her was a legitimate possibility at the end of part four), but she got shuttled into dreams as a way of doing the undercover work (I do not know if Para is correct about the type of dreams). As I now had a device that warped reality, it seemed like I had a way to bring Lissa back. I even went the extra step towards drawing her this time. (I coloured the scanned image during “Doctor Who” Saturday evening.) No external web links in this episode; often if they don’t occur to me while writing, I’ll do cursory research, but not this time. With the UNDO button now having been pushed, the plot was wrapping up, a return to the Hub was inevitable – and so the new vote was to figure out who would be around for the finale. I started part 11 where part 10 left off, but to my annoyance, realized that I needed a better sense of what Para and Mason had been doing to end part 10. And once I knew, it seemed like something the audience would want to see. Thus how “Tour de Force” ended up unfolding. Perhaps a better planned story would have put the start of 11 at the end of 10, and vice versa. Oh well. Week 11 got me back to Alice at the Hub, and the dramatic revelation (well, dramatic to me) of her identity, along with the many-worlds theory I’d been vaguely hinting at since the start. Closed off that last vote on Tuesday after school, and immediately started writing Part 12, because on the weekend I’d be away at another wedding (in Winnipeg). A couple hours work on that day, also Wednesday, and the last part was finished. I’d originally planned to take it a bit further in the aftermath (activating the wormhole), but Alison wanted to do some earlier character venting to eat up the word count, and I allowed it. The last part was in the buffer on Thursday night. At present, it’s been viewed a total of 7 times. I need to figure out how to make this more interesting. Which I struggled with for three years in my personified math serial without great success, so this may not last that long. I don’t know if my latest plan of shifting to a more fantasy setting will help in any manner. But at this point you’re probably getting tired of me saying “I don’t know”, so I’ll shut up. Which brings us back to, do you have any questions for me? Either about this commentary, or about my first completed serial, written over 12 weeks, without a buffer? I’ll also accept commentary about improvements, do you have any of those? The voting is up for the next part, has been since Friday morning, and will be through until the usual Tuesday cut off. I know it’s American Thanksgiving; I don’t know (again, sorry) if that’s a good or a bad thing. (People may have more free time, or less, depending?) Two votes came in Friday, another two Saturday, overall still only 13 views on the post. You learn by doing. Clearly I don’t know what I’m doing. “Alison,” Para murmured, reaching out to tap the brunette on the shoulder. “God?” Mason said, arcing an eyebrow. Alison pursed her lips. “I think I need to sit down,” she decided, rubbing at the bridge of her nose. After a moment of hesitation, Alison nodded and went to sit, the others trailing after her. “Are we in Heaven then?” Para mused as she sat. “You mentioned different dimensions,” Mason reminded. “Then which world are we in now?” Para asked, growing confused. Alison glared. “You don’t get it. At all.” She looked to Mason. “You explain. I’m out. I’m done.” She began to stalk across the room, towards the only obvious point of exit, the door opening to a walled off area within the cylindrical room. “Alison!” Para called out, jumping to her feet and running after the other woman. “The right choice isn’t necessarily the most popular one,” Alice countered. “Para,” the blonde said quietly. “Para. Sorry,” Alison apologized, looking back at her feet. They both sat in silence. Lissa let out a “Humph”, but otherwise made a point of ignoring them. Alice strolled back to one of the computers. She pulled up a virtual keyboard, tapping at it. “Dialling now!” she remarked. A rumbling noise began, and the whole room started to subtly vibrate. After a few seconds of this, a light on the floor suddenly switched on. Looking over, Alison realized that the light was located within one of nine different chevrons. All of them equally spaced around a large ring device, embedded in the middle of the room. The ring itself was large enough to accommodate a small car. A third chevron illuminated. “I’m headed over the rainbow,” Alison concluded dryly. WHICH CHARACTER WOULD YOU MOST LIKE TO SEE AGAIN? Voting will… probably remain open, actually. Votes for the next story and character set will occur in a week. Para had never thought that she, a personified parabola, would one day be equated with a twenty something human male. But then she, Alison, and Mason hadn’t really thought through the finer details of their plan to capture The Denominator. The tour for Big Ben had started at 4pm that afternoon, on the ground floor. There were 334 steps to climb, which were done in stages, the guide providing information along the way. 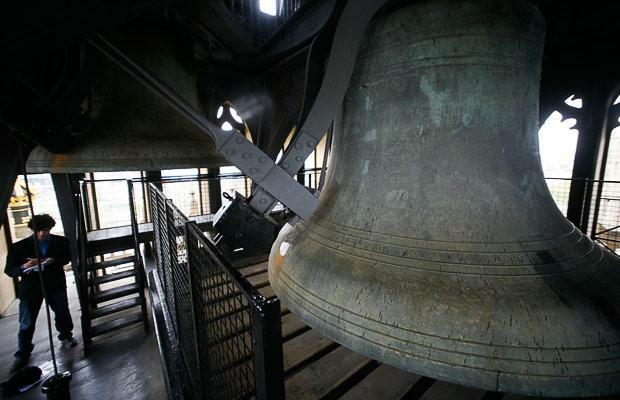 The tour group would arrive at the top with time to hear the big bell chime, hence Alison originally figuring she had an hour, from 4 to near 5pm, to track down necessary information in their present. After all, The Denominator had appeared near the top of the tower in the past, so he had to have left from there, spatially speaking. So when the group returned to that present, it was right after Big Ben rang to signify 5pm. Mason had assumed that Phillip’s untimely disappearance would have caused the tour to descend early. He was incorrect. This meant that several people in the Elizabeth Tower were witness to the appearance of a SmartCar, as the chiming of the bells ended. 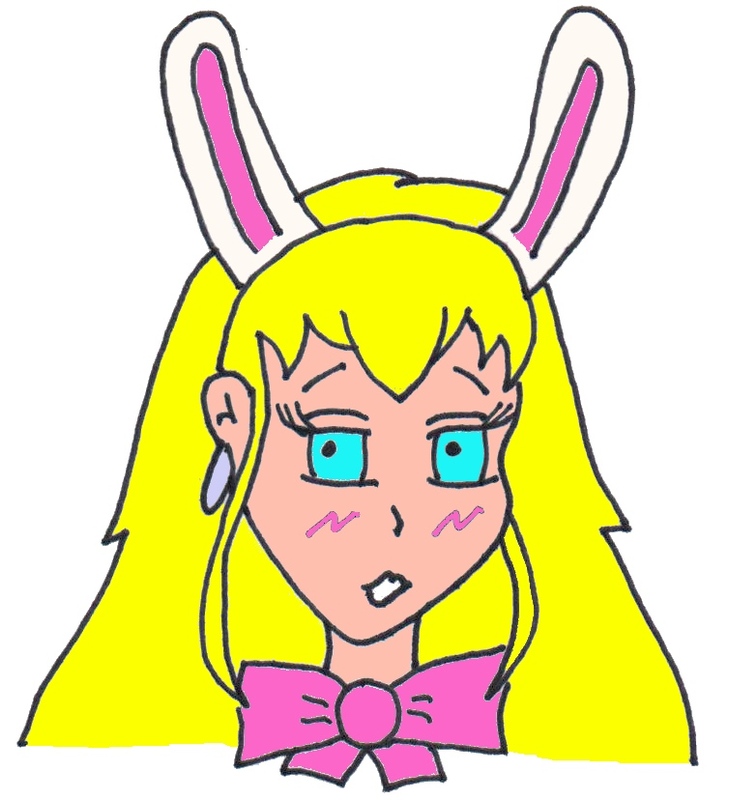 They then saw two security guards emerge from inside of it, along with Para, in her usual garb of a bunny girl. Both groups stared at each other for a moment. “Okay!” Alison declared. “Mason, I leave this to you.” She immediately hurried off. “Wait! What’s happening here?” the tour guide demanded. “I’m security. I’m performing the sweep. Also, your missing person is right here. 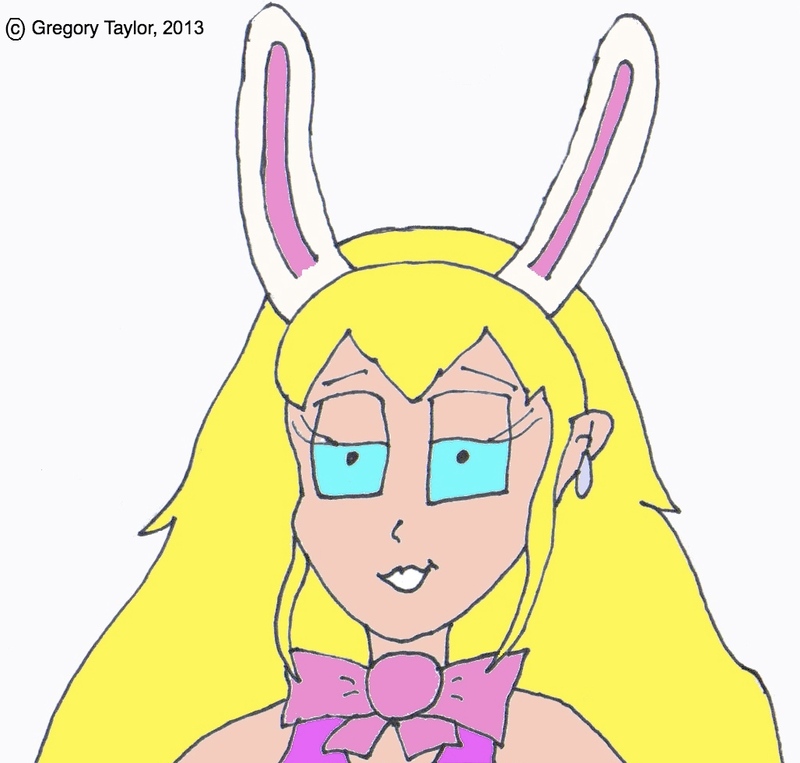 The reality warp transformed him into this blonde woman with bunny ears,” Mason countered. Para’s eyebrows went up. “So unless the rest of you want to be similarly transformed, please do as I say.” For emphasis, he reached into his pocket, pulling out his Bardiche. He tapped at it, and a band of blue light emerged from the swiss-army like device, a light which he began to train around the room. There was another pause. “What if I’m okay with becoming a buxom blonde?” one of the people on the tour asked. “Let’s get in the corner!” Para declared. Waving her hands, she tried to gently shoo everyone back to where Mason had indicated. There were skeptical looks, but with a shuffling of feet, they all complied, even the tour guide. Perhaps it was to get away from Mason, who continued to train his light beam around the area. After about two minutes of this, Mason abruptly let out a “Ha!” and moved closer to the gated off mechanisms of the clock. He fiddled with his Bardiche again, the light switching off, the device now giving off a slight humming noise. He held it aloft, waving it in the air. Para looked from Mason to the tour group, then back. “What–” she began, but before she could finish the thought, a small device flew through the air connecting to Mason’s Bardiche with a soft ‘clink’. Immediately thereafter, there was a sudden strange sensation – as if, for a fraction of a second, Para had been squashed back into two dimensions. Para nodded, moving to grab the Alternator from Mason before heading off in the direction where Alison had vanished. As she departed, she heard the tour guide speaking up again, only to have Mason shush him. Whereas the rewriting of reality had seemed to involve a squashing sensation, when Alison first activated the Transformer, she was overcome by a sensation of expansion. As if there were now a fourth dimension, putting her at right angles to herself. That curious effect also lasted less than a second, but it was enough to cause momentary disorientation. Fortunately, Lissa Jous seemed to be similarly affected, throwing off her attempt to knock Alison down. The two women ended up staring at each other, an arm’s length away. Alison wondered how Lissa was even still there, given how reality had now – theoretically – been reset. Which is when she realized that indeed it HAD been Phil she’d been talking to, up until moments ago. When he’d been replaced. When his whole history had been replaced. Indeed, a part of her still believed that Lissa had been the one their group had been tracking for the last couple days! This reality altering technology was more powerful than she’d thought. “I don’t– wait, what’s that?” Alison countered, pointing behind Lissa. The Alternator executed a perfect parabolic arc in the air, smacking the pink haired woman in the back of the head. She stumbled forwards, turning to regard Para. Which allowed Alison the chance to lash out and smack Lissa upside the head with the Transformer. “Oh, bloody…” the pink haired woman managed to mumble before crumpling to the ground. Alison made a face. She didn’t like that option. It felt like admitting defeat, like they were putting their fate back into the hands of powerful, unknown people. Ones who were somehow pulling the strings. But if not even Mason knew how to restore Phillip to this reality, there wasn’t anything she could think of as an alternative. After all, Alison reflected, the Time Lord had managed a lot already. He had been able to subtly alter the perceptions of those who had been in the Tower, to prevent any future investigation. (And when even the tour guide identified Lissa as being the missing person, not Phil, Alison knew they had a problem!) Mason had then parked his TARDIS back in the Jubilee Gardens, giving her time to cross reference external computer files with the ones in his ship, which apparently hadn’t been affected by the Alternator device. (It turned out Phillip’s identity was completely gone – all the files were for Lissa.) Mason had even worked out a way to undo the prior problem of that “Back to the Future” movie – apparently a trilogy – and restore that fictional clock to using an “IV” as well. But restoring Phillip Denomolos was another story. They had handcuffed Lissa and locked her up in the wardrobe room. She wasn’t talking. And they had no idea how to uncouple her from the fabric of this world. “Let me try talking to Lissa one more time,” Alison decided. Alison nodded, then marched for the door leading out of the control room. She heard Para trailing along after her. 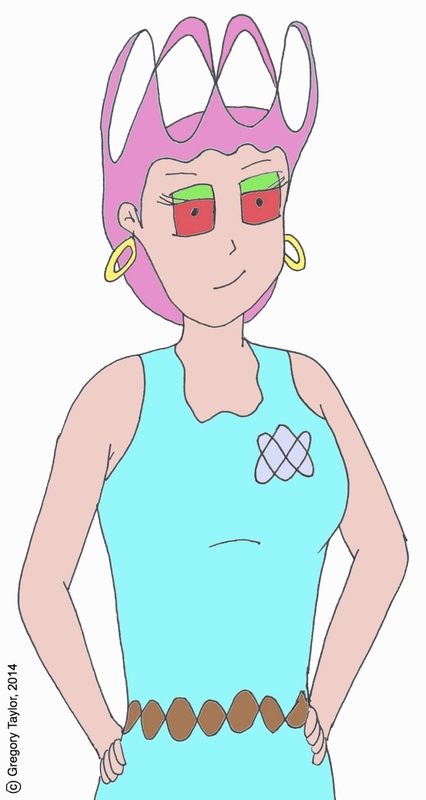 The pink haired mathematical woman looked up as they entered. Lissa was stretched out on the ground, arms elevated, her hands cuffed around a piece of the wardrobe. Her expression was neutral. It looked like she’d tried to pull free, unsuccessfully. Seconds ticked by, and it seemed like Lissa still wasn’t inclined to say anything. Alison continued to try and stare her down. Lissa scowled. “Even assuming I knew, why would I tell you?” she said evenly. Alison resisted the urge to shake the blonde, or to go to the wall and slam her own forehead into it multiple times. Instead, she turned back to Lissa, who now simply lay there with a smug smile on her face. The central control room for the station was big. And unlike the last time the TARDIS had materialized there, this time the computer banks had an operator. Alison stared at the apparent technician via Mason’s monitor long enough to register the long, brown hair, T-shirt, and jeans, before storming out to confront her. “Answers. Now,” Alison demanded, reaching out to spin the other woman around by the shoulder. Her adversary blinked back, and when she spoke, Alison recognized the voice of ‘Alice’ from their earlier computer communication. “What could I possibly tell you that you haven’t already figured out?” Alice asked politely. “Hum. Alice, is it?” came Mason’s voice. Alison glanced over to see him approaching, along with Para. He obviously hadn’t felt the same urgency about dashing out to catch the technician before she could escape. Though to be fair, Alison supposed that Alice wasn’t acting like she was in a hurry to go anywhere. Alice turned and nodded slowly in response to Mason’s question. Alison van der Land. Or rather, Alijda van Vliet. She was, Mason reflected, a force to be reckoned with. In the short time since their last visit to Big Ben, the woman had hijacked his TARDIS, flirted with a known criminal, befriended a personification of math, and apparently considered suicide. Yet through it all, she had managed to act in all their best interests – despite being, at least in his opinion, focussed primarily on herself. It was simultaneously infuriating… and captivating. In the end, Mason decided that he had to trust her with his Transformer device. Given her teleporting ability, she WAS the person who could get it close enough to the Denominator’s Alternator to read the necessary frequency. 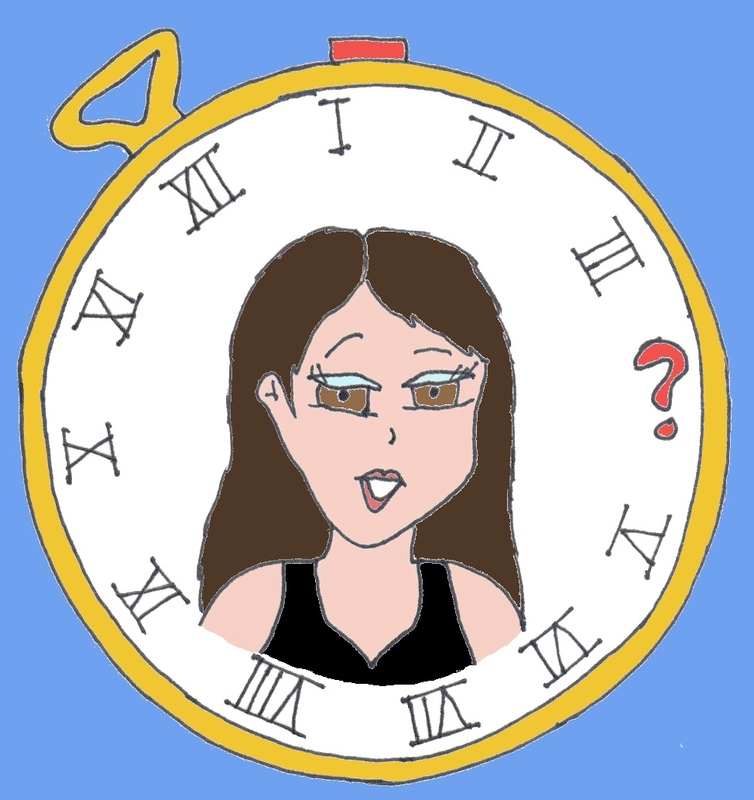 Which would then allow her to undo the problem of Big Ben’s Great Clock displaying IIII instead of IV. Along with any other side effects, which might relate to TV opening sequences. Mason DID hope that any such side effects wouldn’t include the Elizabeth Tower itself being erased from reality, as they’d previously hypothesized. Mainly because his ship would very soon be parked inside it. “Right! Besides, you look fine at ANY proportion,” Para said with a smile. Phillip Denomolos smacked the side of his temporal displacer. He’d been back for several minutes now, long enough to find a hiding spot, but for some reason he still couldn’t pick up on the alternator’s frequency. Was it malfunctioning? Perhaps he should have jumped back in time before this, to create an extra week for testing! But no. That black man and his female companions had been right about one thing. The technology could be dangerous. Lissa had been clear: One jump back, of minimum seven years in length, then a return to the present. Any more, and there would be risks to his health, not to mention time itself. He wouldn’t betray her trust. Phillip snapped his gaze up from the device in his palm to see a female security guard approaching, arm out, voice curiously deadpan. She seemed familiar somehow. “No, you stop!” he shouted back. “Don’t come any closer, or I’ll detonate this!” He held up his displacer, which had no explosive capabilities, but she wouldn’t know that. “Trying to help me change this clock? !” he challenged. Her head shook. “Phil, we both know you’re trying to do more than that. And it’s going to mess with Roman Numerals everywhere. I’m sorry, but the parts you’re using in your alternator – they’re sub-par. They’re going to have a detrimental effect on reality. For the last time, I ask you to believe me. Please. Don’t do this.” To her credit, her expression seemed legitimately sad. The displacer in his hand let out a ping. “I’m not.” Without even looking, he reached down to spin the dial and hit the appropriate button. She’d been trying to apologize for posing as the object of his affections. He hadn’t understood. That was all moot now, as whatever Phil had done must have activated the alternator. Either that, or he’d released some sort of hallucinogenic gas, as for a moment Alison could swear that the three dimensions around her managed to compress themselves down into two. The effect lasted less than a second, but forced her to gasp for air. Then, it was as if… nothing had happened. That was it? Somehow, Alison had pictured something more drastic occurring. Though for all she knew, something drastic WAS occurring – somewhere else. The world was a big place. She had to act, had to undo things. She glanced down at what Mason had dubbed his “Transformer”. Readings told her to get closer. She took a step towards Phil. “No, you stay THERE!” he insisted, now levelling the displacer device at her as if it was a weapon. She supposed it could be, depending on what else he’d done to it. It didn’t really matter. “No,” she answered simply. And she teleported to a metre behind him. “Who ARE you people? !” he demanded again, this time with more frustration than anger in his voice. Again, Alison didn’t answer, though she began to wonder whether hacking some sort of communications channel on the TARDIS might not have been a better plan. Actually, scratch that, it definitely would have been a better plan – always go for the data! Somehow, personal interactions never went the way Alison hoped. For instance, she hadn’t anticipated that Phil might have a backup plan. As soon as he’d said that, she reached out to grab for him. To prevent whatever he was keying into his temporal displacer. To keep him from somehow escaping through time. Her arm connected with his elbow. There was again that momentary squashing sensation, as three dimensions seemed to become two. Then she reaffirmed her grip on Lissa’s arm. It wasn’t so much a physical double take as a mental double take. Her past didn’t make sense. Why had she dressed up like that guy named Phillip Denomolos in order to gain access to Lissa’s apartment? Why had doing so necessitated Mason’s wardrobe creating fashionable boots for her to wear? More to the point, why was she currently holding off on resetting everything for Lissa’s sake, when she really felt no sense of attachment to the woman? “Alison!” Para called out from somewhere nearby. Lissa grabbed for Alison’s arm, trying to pull her in closer, the woman’s other hand reaching for the Transformer device. Alison immediately teleported out of reach, making the conscious effort to do so ALONE, as was necessary when she was in physical contact with other people or objects. Though she made sure to maintain her grip on the object in her hand. And as soon as she had reappeared, and saw that Lissa was charging for her again, she keyed in the ‘Undo’ feature, setting aside her plan of blackmailing the Epsilon Project. Whatever was going on, it had just become a whole lot bigger. She grimaced. Two problems with that statement. First, she hadn’t fallen for Phillip Denomolos. Not really. Granted, he was a nice guy, and smart, but despite his technological know-how, personality-wise he hadn’t felt like her type. Too obsessed with what was “right” or “wrong”. She had more fallen for the idea that he’d fallen for Lissa. Yet right after confirming that fact, he’d made it clear that he knew she wasn’t really Lissa, so never mind. Which led to the second problem, namely that this meant she had yet to feel a spark of romantic interest with ANY man who didn’t run completely counter to her personality. Nice guys. Happy guys. Honest guys. All things that she was not. Even David Rose, who had been as messed up as she had been in terms of being affected by that Biochemical experiment – and where she’d gained teleportation, he’d gained super speed – that had not been a good match either. Because David was a police officer. While she was effectively a fugitive. Alison looped some hair around her finger and tugged at it angrily. “Why even think about guys, Ali? Why the hell do you want to pass on your stupid, messed up genes? Because you’re over 30, and your biological clock is ticking? Screw that nonsense.” Despite verbalizing it, Alison wasn’t thoroughly convinced. There was a knock at the door. Alison quickly pulled herself back to her feet, brushing off her dress. The door began to swing open. “I said no peeking!” Alison shouted curtly. The pair of bunny ears vanished as quickly as they’d appeared. “Sorry!” came Para’s voice as the door closed again. Alison sighed. “Bunny girl, come back! I need your help unzipping anyway,” she realized. “I don’t know.” This time, Alison was sure she was grimacing. “Part of me wants to end up back at home, with no memory of any of this mess. Yet at the same time… I’m learning things about myself. About my past, about depression, even about romance. It’s like the whole Powers mess all over again.” She briefly debated switching out her lingerie – becoming Lissa had necessitated a little extra padding – but then figured hell with it, and began to pull her regular dress back on. “And so… you’re not sure you want to lose touch with me and Mason the same way? Is that it?” She slid Lissa’s dress back into the wardrobe. Para nodded mutely back at her, her eyes still large and wondering. “I’m still hesitant on letting you be the one to manage that thing,” Mason admitted. Mason looked towards her, frowned, then nodded. “All right then. Let’s get this trip over with.” He reached out to throw the switch. Alison tensed a little at the motion, then looked down again at the device in her hands. Regrettably, she didn’t really know how it worked – only Mason did. She only knew the buttons she would have to push. Her lips thinned. What she did know was that she wasn’t going to push that last button, not until she knew for darn sure that “The Epsilon Project” was going to let them all go free. Including Phillip Denomolos. Phillip Denomolos frowned. The pink hair was correct, but the ovals didn’t seem to be the right size. The overlapping waves shown on the blue dress also seemed wrong, even if the boots were accurate. Or were they? “Lissa Jous?” Phillip repeated back to the woman. He wasn’t buying it. But at the same time, ‘Lissa’ had to know something, otherwise how could she look so much like the real deal? The one who had been appearing in his dreams? 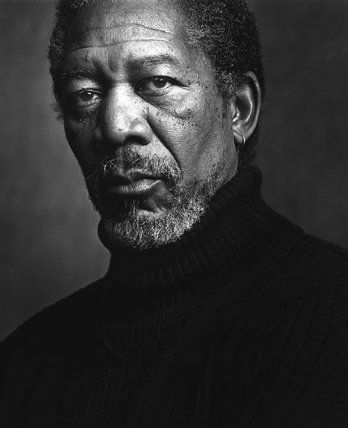 He kept his face impassive. “All right,” he said after a moment. “Join me upstairs.” It didn’t hurt that her features were easy on the eyes. “But what if he sees through her disguise and assaults her or something?” Para protested. “She can teleport away,” Mason reminded. “Besides, Alison is a grown woman. We have to trust she knows what she’s doing.” Even so, his tone implied he was still less than happy about her joyriding in his TARDIS. “Whelp, we were wrong on a lot of counts,” Alison stated as she re-entered the TARDIS over an hour later. She closed the door behind her and leaned back against it. “When you say we were wrong, do you mean you don’t look like Lissa?” Mason inquired. Para pursed her lips, not sure she wanted to move on from the topic of Alison’s interpersonal relations with ‘Phil’ – but Alison was already answering Mason before Para could even figure out how to vocalize her concerns. There was a slightly awkward silence. “She’s got a point,” Mason finally offered up. Alison’s gaze darted over to a random corner of the control room. “True. But at this point, the fact that I’m using pet names to your face, rather than behind your back, is probably more of an attempt to push you away from me. For your own good.” Para felt her eyes widen at the admission. Again, Alison’s remark implied a follow up that never came. Para exchanged a glance with Mason. He shrugged. “Well?” Para ventured again. “We repair his device,” Alison stated. “So it works properly. Or, if you prefer, we sabotage it, so that it doesn’t work at all. Or we use what I know about it to devise some countermeasures, fixing the problem after it occurs!” She spun on her heel. “Whatever, I don’t care. I’m going to change. No peeking.” With that, she completed her march out of the room.